It is said that the flash of new ideas strike to those who have great vision to achieve new heights. So, if you have some innovative ideas to transform your guest bedroom to its perfection than choose the right tools to execute your plan for decorating it marvelously. At the same time, to consolidate your position further, you may take a look on the spell of modern trends which could virtually enlighten you to give sparkling effects to your guest bedroom. Decorating must not be considered as easier as you think. So, try hard to find ways and means by which you would manage to decorate the guest bedroom to such an extent that your guests never want to leave it. If you really want your guests to feel comfortable, then design the guest room “guest friendly”. Make it easy to maintain. 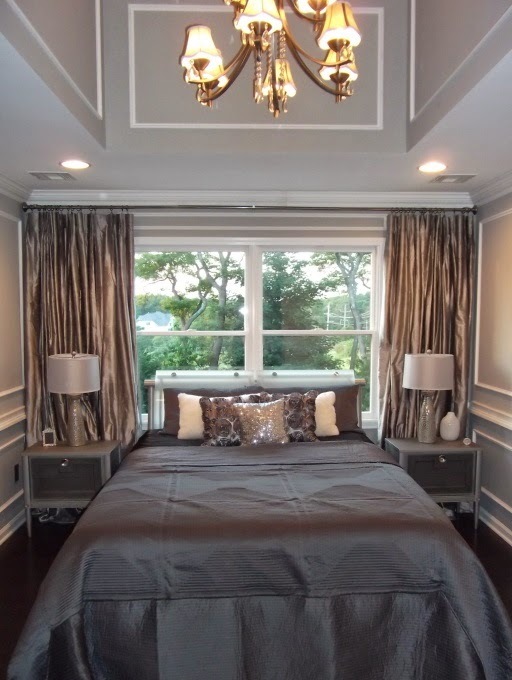 Well, once you go through the following tips for decorating your guest bedroom, you will find it very easy to add a glamorous touch that would certainly be loved by your most honorable guests. It is pertinent to mention that your wall would not give sparkling effects unless you choose the right colors. Wall is the perfect canvas to try your hands. So, make it a point to choose light colors for your wall so that your room may look more spacious and airy. It is not advisable to opt for plain white color as it looks too stark. The other options are – soft, chalky, pale green, sky blue, etc. These will give your guest bedroom elegance and warmth. 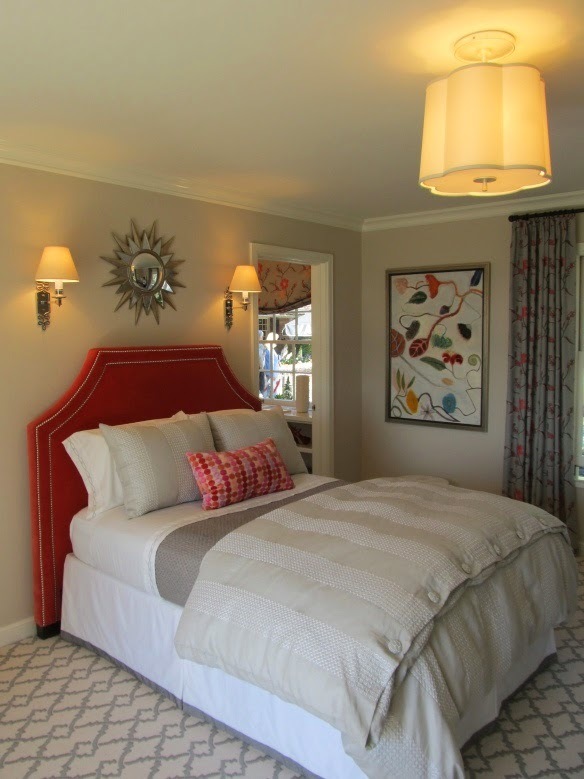 Use bold colors and graphic patterns which could make your room more classic to its perfection. There are so many options available for your floor design also. The existing floor can be decorated as per the colors of walls. Wooden tile floor is the best option. Our suggestions would surely work if you choose bed sheets with fine prints which can help your guest bedroom look most fabulous. Other elements like body lotion soap and face cream, hangers for hanging clothes, and clean drawers with drawer liners, bouquet of non-fragrant flowers like tulips, etc. Should be kept in a stylish way at a proper place. Further, new and fresh pillows will add elegance to your guest bedroom’s decor. Give a new look to your existing Bed and mattresses rather than thinking of its replacement with a new one. Go for repairing the existing bed and mattresses and replace the beautiful covers using a hard wearing cotton fabric which could match with the colors of your curtains and walls. It will certainly give a new look to your guest bedroom. You can also use same technique as has been done in the case of bed and mattresses while giving stunning effects to your guest bedroom. All you need to do is trim the existing curtains with bright red ribbon. Dress your windows and doors with ready-made curtains in a shade which could match your walls and bed sheets. It would also help save your money. There are vibrant colors for painting and light fixtures and fittings available. Now the choice is yours whether you go for new light fixtures and fittings or paint the existing one that can make your guest room more attractive. Provide with switches within the reach of your bed. Decorative lamps are also available in the market. You can go for that too. To decorate your existing sofa sets, cushions, chairs, you may use new cushion and sofa set covers as per the bed sheets and curtains you have in your guest bedroom. It will definitely add more charm to your space. It is advisable to use bright fabric for sofa and cushion. Paint the existing shelves to its perfection and place beautiful objects on it. You can use the shelves to keep some books so as to make it as a mini library in your guest bedroom. Plan to create a mini dressing room within your guest bedroom. You can accommodate clothes and other baggage of guests in this beautifully created mini dressing room. Later on, it can be used as a store also. Choose stylish mirrors for decorating your guest bedroom. It can be put on a pretty small table at a corner where you have just created a mini dressing room. Mix some beautiful traditional and modern objects to give a classic and contemporary look to your guest room. These objects may be wooden flower pots, brass flower pots kept on the corners or on the table.